The South Suffolk is a fixed cross between the Suffolk and Southdown breeds. 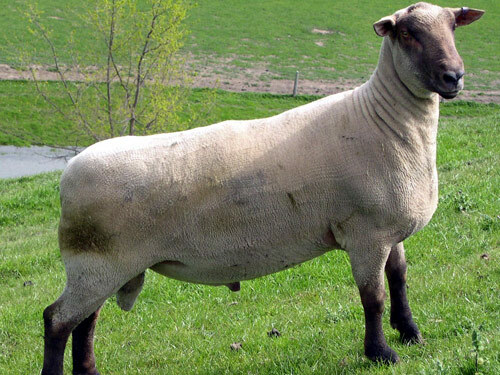 It is a large, comparatively heavy meat breed of sheep. Rams are for use as terminal sires, used in cross breeding for early prime lamb production. South Suffolks can be found in most states of Australia and in New Zealand, where the breed originated. The wool is of the fine Downs type and measures 24 to 26 micron in fiber diameter. Fertility levels are high.